Deja Lynn Alvarez is an advocate, peer counselor and representative of the Philadelphia Trans community. She is currently a system navigator for the City of Philadelphia’s Department of Health and a Commissioner on the Mayor’s Commission of LGBT Affairs. 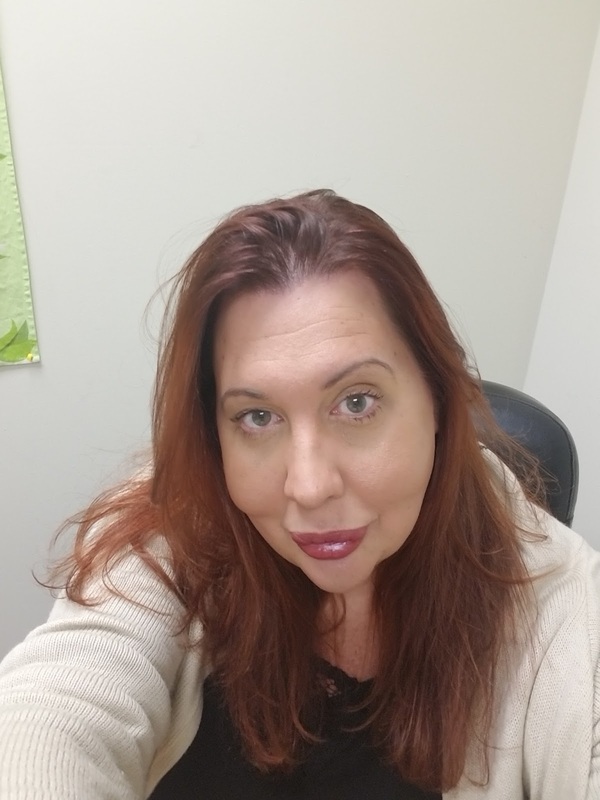 She is one of the founding members of the Trans Wellness Program at Mazzoni Center, a co-founder and former facilitator of Sisterly Love, a trans support and skill-building program by and for transgender women and a former team member at the Trans Information Project of GALAEI. Ms. Alvarez is also a consultant to the City of Philadelphia on trans issues including the Office of LGBT Affairs and the Philadelphia Police Department. She is a member on the Philadelphia Police Advisory Board, as well as a member of the Pennsylvania HIV planning committee and a Board Member of the William Way LGBTQ Community Center. Ms. Alvarez has also served as a co-chair of the annual Trans March in Philadelphia and chair of the annual Trans Day Of Remembrance Memorial. She is a group facilitator at The Philadelphia AIDS Consortium’s Transformation Group and has facilitated groups at the Morris Home. She is the former executive director of the LGBTQ Home for Hope where she was able to get the first LGBTQ specific shelter / recovery program in the city up and running. Ms. Alvarez was awarded the 2015 Jaci Adams award, from Philly Pride and the 2016 Person of the Year from the Philadelphia Gay News, among numerous other awards for her life’s work and dedication to trans and LGBT causes. Amy Martin is a retired Executive Chef with over 20 years experience in the restaurant industry. Decades spent having to prove herself above and beyond her male counterparts has made her a fighter at heart. Having lived on both coasts (and a stint in Hawaii), she moved back to the Philly area in 1999, where she worked at Buddakan, Striped Bass, Fish Market, Fish on Main, Cafette and Philadelphia Fish & Company. Several years later, she met the man she would marry; they moved to the suburbs of Philly and had two daughters. Her new career as “mama” began. In the background however, her entrepreneurial drive was still hoping for another opportunity. In January of 2015, Mama Beads & Baby Baubles LLC became official. Her “art for consumption” had become wearable instead. Creating her own business was a game-changer for Amy, a way to help contribute financially to her family and regain her feeling of self-worth. In 2016, like many around her, Amy watched in disbelief as our political climate became increasingly unstable. Following the election, she felt compelled to do something to let her young daughters know that truth, kindness and compassion were still all qualities we should exude. So, taking a hard turn from her creative roots, she joined the team to help organize the Women's March on Philadelphia on January 21st, 2017. 55,000 people showed up to support the march and stand up for what they believe in. Amy has been involved in social activism for many years with her family’s non-profit, Rubye’s Kids Inc. that serves impoverished children in Philadelphia; she organized Philly Women Rally’s first event following the march; a “postcard social” with 200 attendees, local politicians and community organizers, organized a vigil/rally in her neighborhood following the events in Charlottesville, joined her local Democratic Committee as a voting member and was honored by the ARDC with the award for Outstanding Community Leader of 2017. 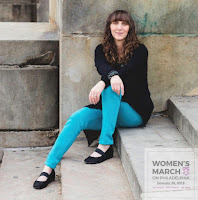 She heads the committee for grassroots fundraising, community outreach, and is also a member of the logistics committee for the Women’s March on Philadelphia as well as the social media coordinator for Philly Women Rally a 501c4, created by several of the march organizers. It is paramount for her daughters to see that even when one dream fades, another comes into focus, and you never give up! 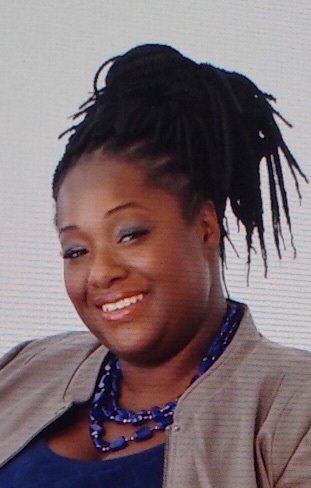 Salima Suswell is the President and CEO of Evolve Solutions, LLC., which she founded in 2010. Evolve Solutions is a management consulting firm specializing in Project Management, Government Relations, Public Affairs and Marketing, Community Engagement, and Special Event Production. Prior to establishing her own company, Salima worked as a Senior Litigation Specialist with the United States Attorney's Office, Eastern District of Pennsylvania. 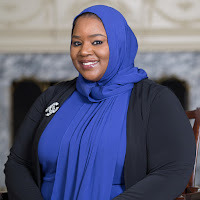 Salima remains actively involved in the political process within the Philadelphia – Delaware Valley region, contributing her expertise and talents to local non-profit and political organizations and campaigns. Among Salima’s noteworthy contributions are the leadership and production of the Annual Philadelphia City Hall Ramadan Iftar Dinner, held at the Mayor’s Reception Hall at City Hall; her role as Project Manager and Steering Committee Member of the Philadelphia Eid Coalition, who worked successfully to obtain the recognition of the two Islamic (Eid) Holidays in Philadelphia Public Schools and various Charter schools; and her role as Chair of the Muslim American Host Committee for the 2016 Democratic National Convention. Salima has served as an advisor to the Office of Governor Wolf for affairs pertaining to Muslim Pennsylvanians, and in 2016 and 2017 assisted with the planning for Governor Wolf’s Annual Eid Al Adha Dinner, held at the Governor’s Mansion in Harrisburg, PA.
Salima serves as an Executive Committee member for the Council on American Islamic Relations - Philadelphia Chapter (CAIR-PA), a civil liberties organization advocating against discrimination, with a focus upon Government Relations and Community Outreach. Salima also serves as the National Diversity Director for Council for Advancement of Muslim Professionals (CAMP). Salima has received distinguished honors and awards from the Women-UP Organization of Entrepreneurial Excellence, the Muslim Youth Association, and the United Ummah of Philadelphia - to name a few. In 2009, Salima was featured on a CNN special program, entitled “CNN Presents – Faith and Money in America. Salima’s work has been acknowledged by the Philadelphia Inquirer, The Philadelphia Tribune, The Philly Public Record, Billy Penn, and other news outlets. Among her many speaking engagements, Salima was honored to address a crowd of over 50,000 individuals at the Women’s March on Philadelphia, in January 2017. In October 2017, Salima was appointed to the Pennsylvania Commission for Women by Governor Tom Wolf. The Pennsylvania Commission for Women, which was created by Executive Order and consists of volunteer members, is responsible for advising the Governor on policies and legislation that impact women; supporting economic and civic opportunities for women; encouraging mentoring programs for girls and young women; identifying programs and opportunities for the benefit and advancement of women; and serving as a resource center for Pennsylvania women. The Commission also acts as an advocate for policies and legislation it feels serves the best interest of women and girls in Pennsylvania. Laura Arblaster is an outspoken, ambitious, and driven leader who has a passion for improving the education system, women’s rights, and the rights of refugees and immigrants. At a young age, Laura realized how important it is to work hard against social injustices and help those in need. In 2012, she organized a toy drive to help the homeless at Trevor’s Place where hundreds of toys were collected each year, until the shelter closed in 2015. Growing up as the daughter of a Cuban refugee, she recognizes that immigration is vital to the growth and success of our country, both socially and economically. As a founding Board Member of Philly Women Rally, she is leading the Programming Committee for the second year of the Women’s March on Philadelphia. 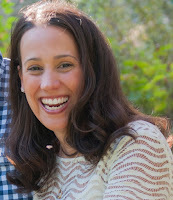 Laura has spent her entire career in education, from teaching middle school as well as bedside in the cardiac unit at CHOP to working with districts and government offices (both state and federal) to establish a college and career readiness culture. Her home, however; is in the higher education publishing industry. She spent many years working with colleges and universities in the Philadelphia area, assisting professors build their courses. When Laura and her husband had their daughter in 2014, she took several months off to enjoy motherhood and returned to the publishing industry as a freelancer on a national level. With the flexibility of freelancing, she is able to take on interesting and exciting projects that directly impact the development of new course material and in turn, new courses in higher education. Laura strives to be a player, not a spectator in life and hopes by example, her daughter will be a conduit for kindness and compassion to make this world a better place and help her fellow brothers and sisters. Nikki Bagby is a proud wife and mother of six. She was born and still resides in Philadelphia, PA. 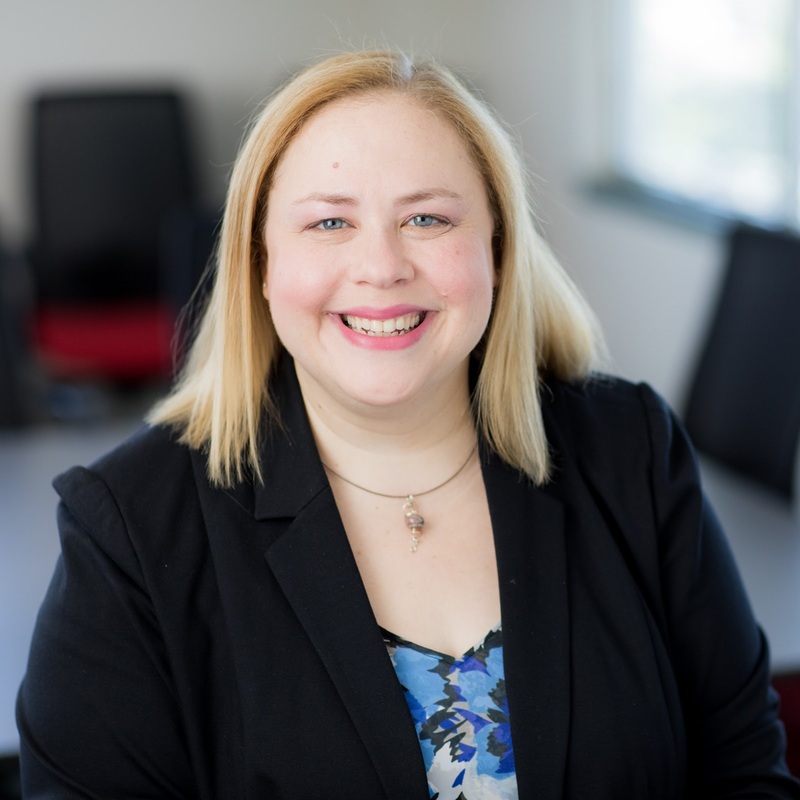 Her current role is Marketing Manager for a large Managed Care Organization which specializes in Healthcare access for our most vulnerable populations. She also the CEO and Founder of “A Humbled Hear, Inc.” She also has expertise in Community Development which includes economic development, housing development, small business development, social service delivery, community engagement, special event coordination, event planning etc. She has also appeared on several television news and Radio broadcast stations and to speak as an advocate and panelist for several community and health related events and seminars. Nikki is a Certified Youth Abstinence Counselor, a licensed Missionary and has been awarded many honors for her extensive community service. She is very passionate about community advocacy and has served on several boards throughout her career. She is currently a board member of Children's Hospital of Philadelphia's Community Advisory Board and the Black Women’s Leadership Council of Philadelphia. She has previously served as a board member for Habitat for Humanity Philadelphia, Faith in God Family Restoration Corporation, UnitedHealthcare of PA, UnitedHealthcare Southeastern PA Pharmacy & Therapeutics Committee, Philadelphia City wide NAC Alliance, Nicetown Weed and Seed, The Philadelphia Mural Arts Advisory Committee, and Nicetown Community Development/NAC. She has been a Parent Liaison for the Philadelphia School District’s School Improvement Team and held office as a Home and School President for over five consecutive years. In her business and personal life she is very passionate about helping others. Her goal is to bridge gaps by being a resource to those she serves; especially those who are underserved, under-exposed, dis-enfranchised. Beth E. Finn (@Finnspiration) is a self-described motivator, sky reacher, overachiever, tech girl, agile evangelist, people connector, coach, leader, changemaker, and brain tumor survivor~thriver~advocate. As a Jew, she believes that “Never again” has to mean something. As a woman, she believes that women’s rights are human rights. As an American, she believes that “our vibrant and diverse communities are the strength of our country.” As a human, she believes in equality for all people, regardless of gender, race, sexual orientation, gender identity, or religion. Beth is managing Logistics and Volunteer Recruitment for the march. In addition to being a founding Board Member of Philly Women Rally, she is the co-chair of the Race for Hope Philadelphia, a 5K run and walk in support of the National Brain Tumor Society. When she’s not busy changing the world, she works as an IT Program Manager. Born and raised in Northern Virginia, she's discovered she's a city girl at heart after living in downtown Philadelphia for many years with her significant other.